To ensure maximum longevity of the Engel sheepskin pads, please review the care instructions below. 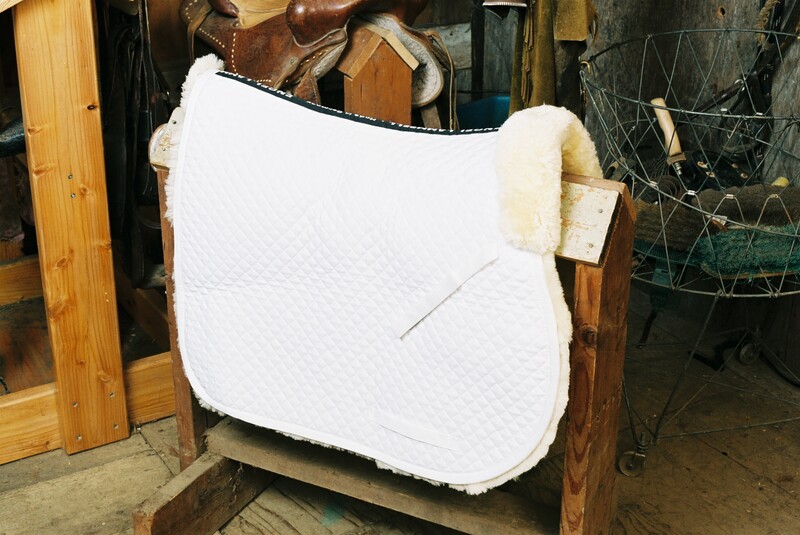 Regular Maintenance – Sheepskin saddle pads must be allowed to dry between rides so that the sheepskin is given a chance to stabilize. Prolonged use of a pad without proper drying may cause stretching or contorting of the leather resulting in damage to your saddle pad. Once the pad is dry, a light brushing of the sheepskin with a pet brush will separate the wool fibers and help to keep the wool fluffy and resilient for the next ride. 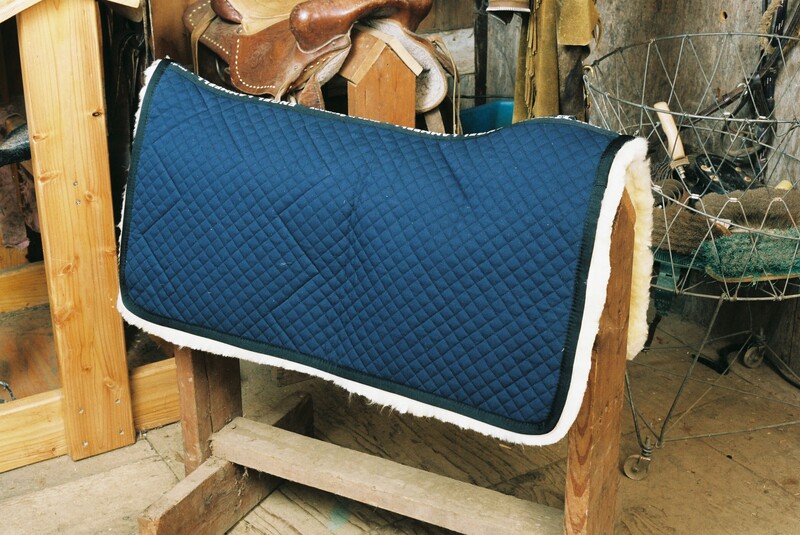 Washing – Sheepskin saddle pads should be hand washed in cold water using a mild soap designed for sheepskin. We offer one of the best sheepskin detergents on the market, manufactured by Eucalan. Two other detergents that have posted good results and can be purchased off-the-shelf are Johnson n Johnson baby shampoo and Ivory Snow Flakes. It is not suggested to wash saddle pads in the washing machine because we find that the ‘agitator’ can be ruff on the sheepskin and on the finely stitched quilt. Remove excess water in the pad by carefully squeezing the water out or placing in your washing machine on the spin cycle only. Do not wring the pad out as it may result in damaging the pad. 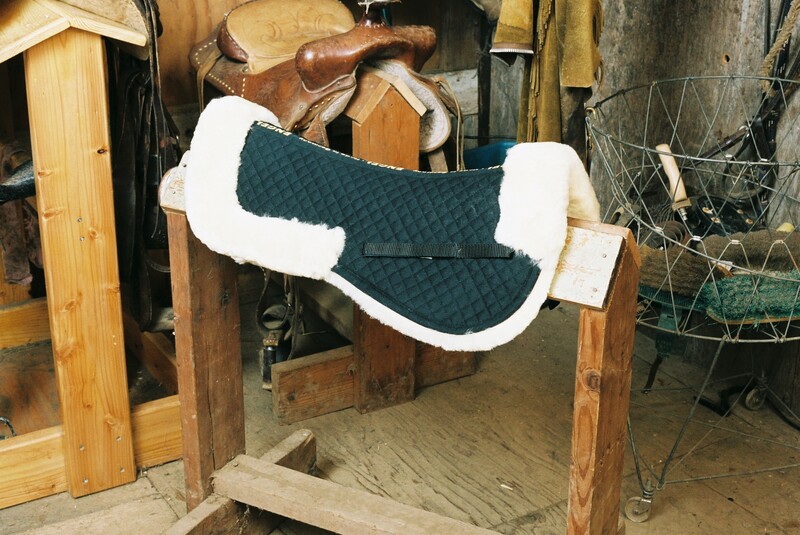 Drying – Sheepskin saddle pads should be line dried out of the sun. Lightly stretch the pad during the drying process to avoid shrinkage. Please do not put this pad in the dryer or on a heating device. Once dry, lightly brush the sheepskin with a pet brush to separate the wool fibers. 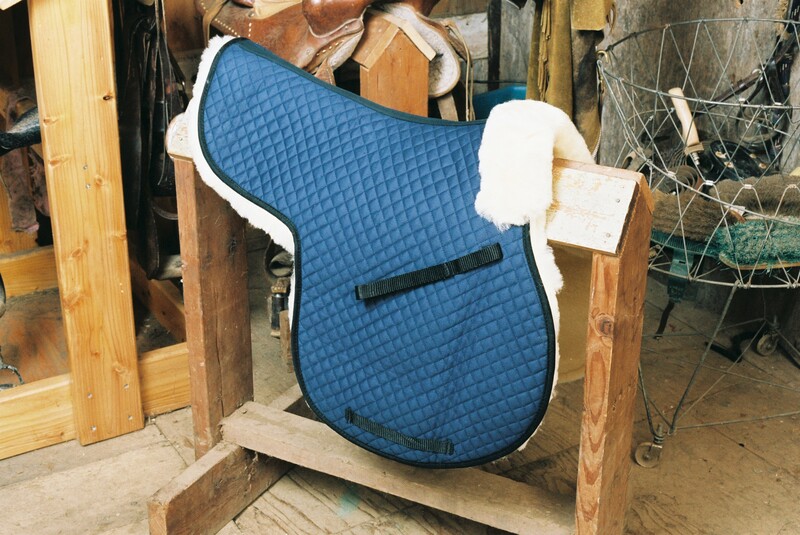 Please call us at 800-766-9665 with any further questions regarding the care of your ‘ENGEL’ sheepskin saddle pad.